• a government administrative system that respects the rules of the market economy with adequate capability to manage. 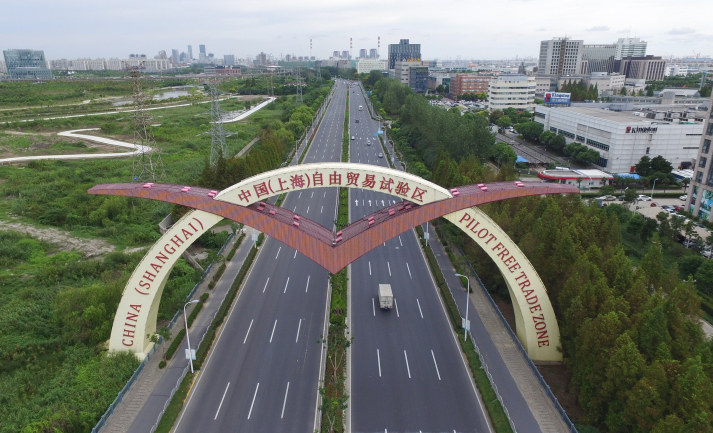 The establishment of the China (Shanghai) Pilot Free Trade Zone was a major reform move that the Communist Party of China (CPC) took on the basis of its assessment of trends and developments both at home and abroad in response to China's new realities. It is an initiative that will play an important role in helping accelerate the transformation of government functions, facilitate innovation in management; promote trade and investment, and develop new ways and gain experience for further reform and opening up on all fronts. On November 18, 2012, at its 18th National Congress, the CPC made a series of important decisions on the implementation of the innovation-driven development strategy. As innovation has always offered important impetus to the progress of a country and a nation, an innovation-driven development strategy has a significant bearing on the future of the Chinese nation. China is a large developing country which is pushing to transform its development model and economic structure, and therefore it must make sure that the innovation-driven development strategy is implemented properly and successfully. For this purpose, the 13th Five-Year Plan (2016-20) contains extensive measures for its implementation, and the CPC Central Committee and the State Council issued in May 2015 Outlines on National Strategy for Innovation Driven Development. China's innovation-driven development strategy aims at encouraging innovation in all areas, led by scientific and technological innovation. Innovation should be demand-driven in response to the needs of industrialization, and businesses are major players in delivering innovation. The market should play the decisive role in allocating resources, and the full potential of our socialist system should be tapped. The strategy also seeks to enhance the contribution of scientific and technological advances to economic growth, which will serve as a new growth driver and help sustain sound economic development. As we implement the innovation-driven development strategy, we must open our minds and accelerate the reform of the science and technology system, so that we can free ourselves from the stereotyped thinking and institutional barriers that hinder innovation-driven development. The strategy must be implemented in a systematic manner involving efforts in different areas. The main measures to be taken to this end include creating a favorable environment for fair competition with a market-based mechanism that encourages technological innovation. It is also essential to promote financial innovation to provide more incentives for innovative uses of technology. Another area of focus is building more efficient scientific research system, and implementing an effective talent management mechanism for training and attracting competent personnel. A highly-integrated approach is necessary to ensure an open and innovation-friendly climate. China seeks to have in place by 2020 an institutional, legal and policy framework for innovation-driven development so as to provide a solid basis to put China on track to become one of the world's most innovative countries. Never in history has a developing country as large as China, with a population of nearly 1.4 billion, attempted to engineer a well-managed process of urbanization. China can no longer follow the beaten track of inefficient and blinkered development relying on borrowed money - this damages the environment and results in an imbalance between the needs of the population and land resources. That path will lead the country nowhere. At this juncture, China must follow a new path to urbanization and choose the right direction. The people-centered urbanization drive is based on China's realities in the primary stage of socialism. It is a choice that meets our development imperatives and enables us to make the best use of opportunities available to bring assured success to this process. A people-centered approach is indispensable if we want to achieve the best results of urbanization. Appropriate plans should be worked out to ensure that towns and cities of all sizes complement each other with well-defined functions for coordinated development. Eco-friendly measures will be effectively implemented in our push for green, circular and low-carbon development. Special care must be taken to preserve traditional culture in our effort to redevelop cities and towns with historical landmarks and local or ethnic features. Quality should be the first priority in the process of urbanization, with more emphasis on increasing the urbanization rate of residents with household registration, providing adequate public services in equal measure to both rural and urban areas and building a more accordable and livable environment in towns and cities where people feel that they are well-served and happy with their life. • considerable qualitative improvement in economic development, with an initial capacity established that will allow the region to provide important support to national economic and social development. • a stronger position for the region to play a role of pilot and provide important support to national economic and social development.